It began with the Mayan calendar - a startling astrological artifact that reaches its end point in the year 2012. 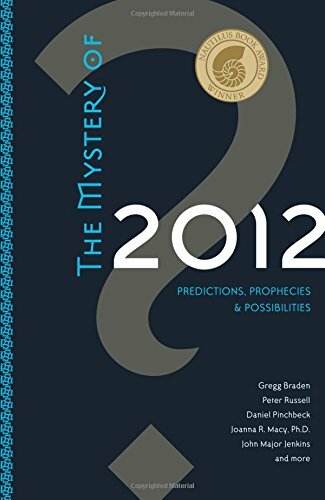 As major spiritual traditions, independent researchers, and archaeological findings all point toward this date as a critical moment in human history, readers everywhere are starting to ask the same question: What will happen in 2012? For the first time, the leading authorities on the 2012 phenomenon are all given voice in a single book: 2012 - An invaluable resource for readers who want to learn more about this time of change, this fascinating book features essays from dozens of prominent thinkers, including: Gregg Braden's examination of the scientific evidence for a shift in the earth's magnetic field - and how it will affect all life; Barbara Marx Hubbard's and Peter Russell's explorations of the "accelerating pace of evolution" - why we may literally be transforming into a new species; John Major Jenkins' journey to the source for answers: the original Mayan calendar.